All it took was one Wetzel’s Pretzels experience, and Will Zhu was in love. Living in California and taking English language courses at the University of California-Irvine, Zhu, along with his wife and daughter, first experienced the fresh-baked pretzel concept while visiting Disneyland in 2016. Less than two years later, Zhu has brought that Wetzel’s experience to his native China, opening his first store in Shanghai’s Reel Mall in June. Another 49 locations, including two more at other major shopping destinations in Shanghai, are planned throughout China as part of Zhu’s master franchise agreement. As the owner of Golden Wheel Investment & Management and its Bakery (Shanghai) Restaurant Management Co., Zhu says he and his team are uniquely qualified to bring Wetzel’s to Chinese consumers. “Our team comes from five-star hotel catering, food retailing and the beverage industry, with experience in chain catering service and development,” explains Zhu, adding the company already has a supply chain in place, along with resources to import raw materials. Zhu also has investments in real estate, was involved in a local barbecue restaurant and a noodle bar, and is a distributor of Honeywell products in China. 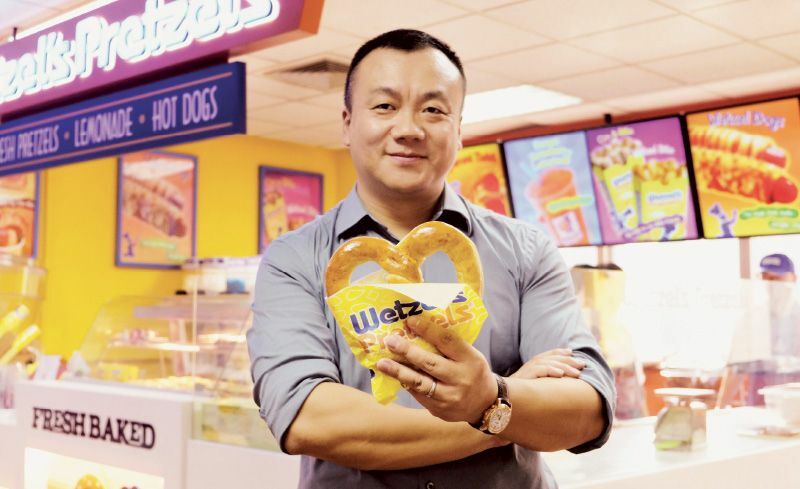 That background, coupled with Zhu’s excitement about the brand, made him attractive as a master franchisee, says Jennifer Schuler, president of Wetzel’s Pretzels. “He’s super passionate about the brand and, as a franchisee of Honeywell, he has experience executing a U.S. brand in China,” says Schuler. “There’s a lot of comfort with and interest in international brands and specifically U.S. brands,” said Schuler. Fifty stores may seem excessive for a brand’s first foray into Asia and a particularly high number for one region, but Wetzel’s has 75 locations in the greater Los Angeles area alone. Launching the brand in Shanghai, where Zhu also built a corporate office, was strategic for other reasons beyond its size. Jennifer Schuler, president of Wetzel’s Pretzels. The Reel Mall is one of the area’s largest shopping centers, with more than 100 retail stores and a movie theater. It’s also connected to a major transportation hub and, points out Zhu, has “the largest flow of people in Shanghai.” This was a strategic move to establish a high-level international brand image for Wetzel’s Pretzels, something that’s important to increasing the concept’s influence in a market where more consumers want a premium experience. Another component of Zhu’s strategy is to address a major concern among Chinese consumers: food safety. From incidents of tainted milk to contaminated produce and businesses selling fake or expired items, China’s food safety problems are well-known. And while the government is strengthening regulations and enhancing oversight along the supply chain, Zhu says consumers, particularly women and children, are still attuned to product safety. WeChat, a popular Chinese messaging, social media and mobile payment app, will play a central role in Zhu’s marketing and promotion of Wetzel’s Pretzels. 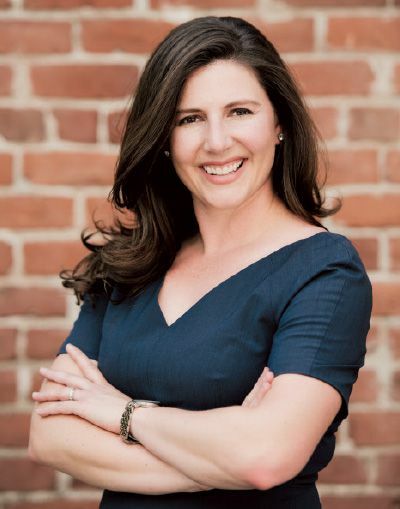 Schuler and her team are closely watching the performance of the first location and how Wetzel’s is being received by Chinese consumers, who she says don’t take long to love or hate a brand. “They decide pretty quickly is it a hit or is it not a fit,” says Schuler. With a strong opening for the first store, “we feel like we have really good proof of concept.” Schuler is also hoping the brand’s presence in China creates interest elsewhere in Asia. As stores two and three open this summer, Zhu aims to establish Wetzel’s Pretzels as a premier brand in the minds of consumers and developers alike. He hopes to attract interest from more high-quality shopping malls and build up resources to assist future franchisees in obtaining the best locations.